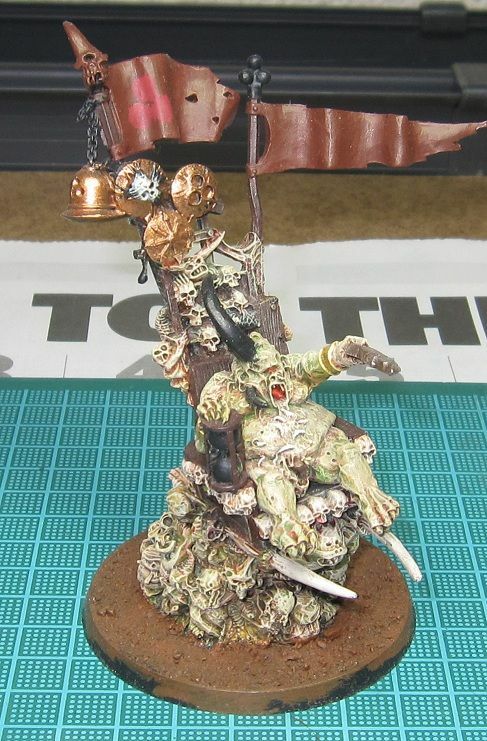 I managed to finish my April project for the 40kFightClub.com 2011 Painting Challenge, my Plague Hulk of Nurgle. 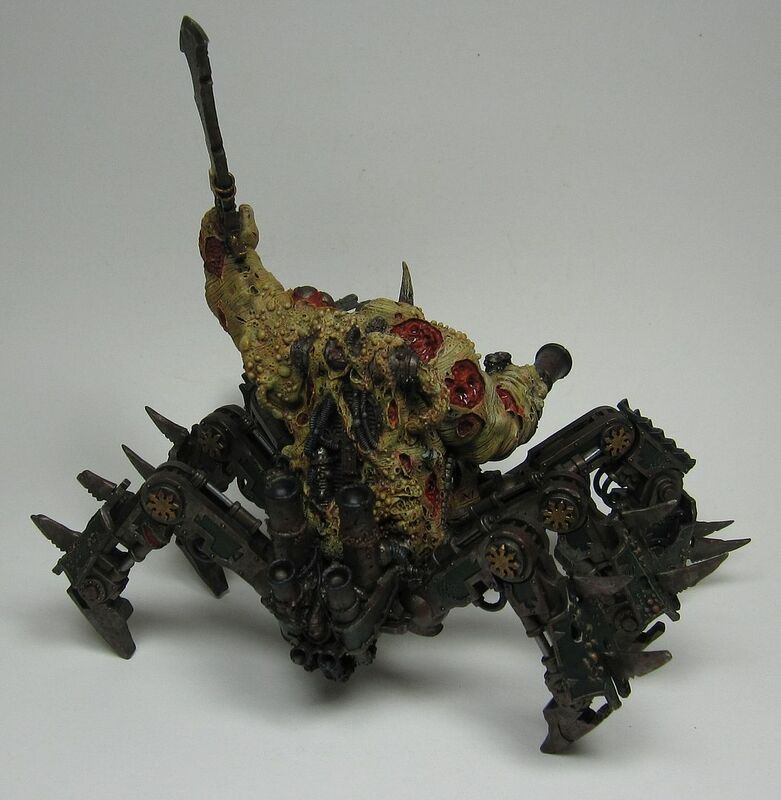 This thing is by far the most disgusting thing I have ever painted. I like the way it came out. I did not finish my 'Finish a Project' challenge. Epidemius actually suffered a 6 1/2 foot fall off the top shelf of my hobby bench and is pretty badly damaged. This is fine, I was not happy with the paint job I was doing on it anyway. It is now soaking in a bath of Simple Green and will get cleaned up and reassembled. I am still here. Real life has been keeping my busy the past couple of weeks and I have not had a chance do much hobby stuff. I have even had to drop out of the upcoming 40k League that I was hoping to play in that is starting this week. Hopefully things will lighten up in a couple of weeks and things will get back to normal. Shameless plug: I have started a second blog, this one is for my software coding experiences. So, if there are any fellow coders out there who are interested in checking it out, you can see it here. This weekend, I spent most of my free time working on my new Tomb Kings army. 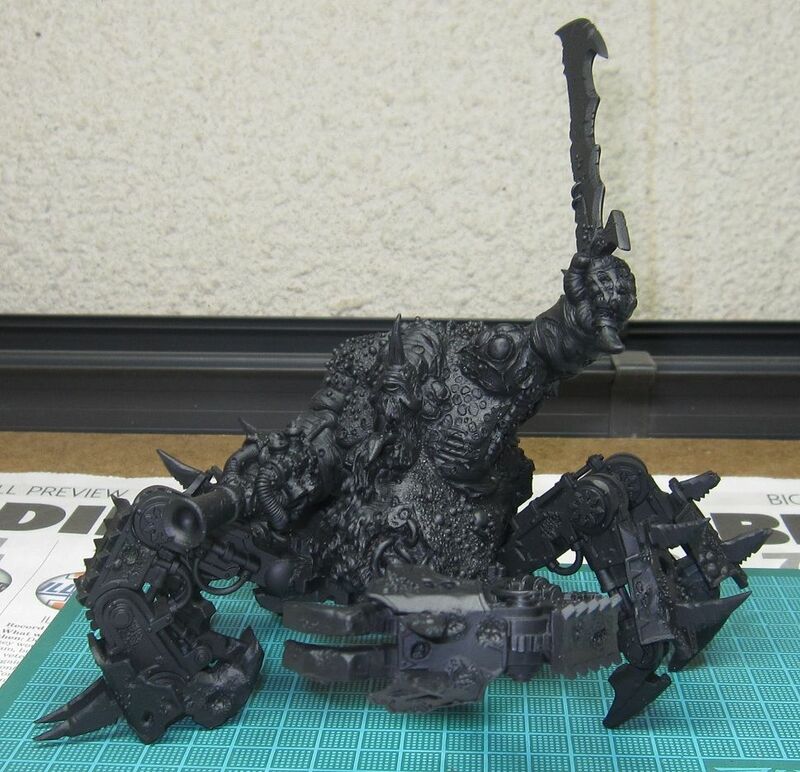 After lots of filing, gluing and pinning metal models, here is what I got built. These are some of the hardest models I have built. The pieces are so thin, it was hard to pin them. But because they are so thin, they needed to be pinned. Believe it or not, I pinned all eight tiny legs on the Tomb Scorpion. 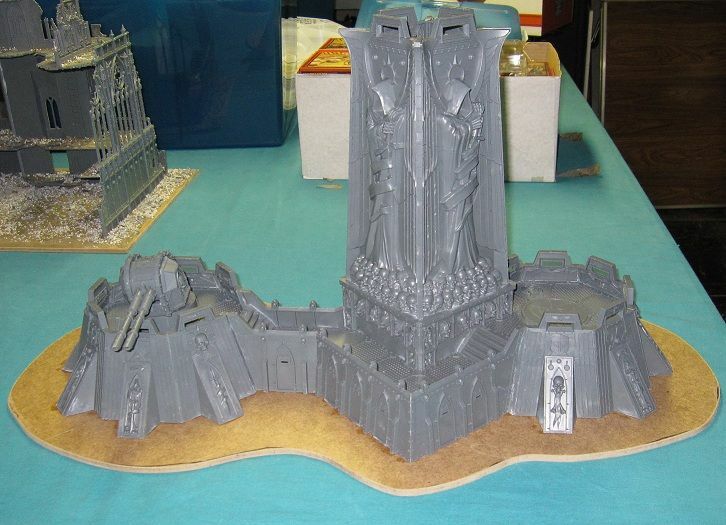 There is no way I am going to build the thirteen metal Tomb Guard, I am just going to wait for the plastics. Besides, I will most likely run them with Halberds anyway, which the metal models do not have. Until I can get a look at the new book, I am not going build my Skeletons, Chariots, or Skeletal Cavalry. I want to see how I can equip them before I do. My FLGS should have their black box copy this week. Games Workshop has an article with information on the new Tomb King Sphinxes. The Khemrian Warsphinx is effectively an infantry masher. It is accompanied by four Tomb Guard riding in the Howdah, all of which have the Killing Blow Special Rule. The Warsphinx itself has four attacks at Strength 5, which is more than enough to splatter bits of lightly armoured troops all over the battlefield. However, it can exchange all its attacks for one Thundercrush Attack. As you've probably guessed, this will be very painful for the unlucky troops standing in front of the Warsphinx. If the attack hits, you get to place a small template over the unit, roll loads of dice to wound them all and then do a small celebratory ritual while your opponent takes off a couple of ranks of models. And then you can Thunderstomp them, just for good measure. Against infantry on a 20mm base you can potentially kill 26 models (that's 16 under the template, 6 from the Thunderstomp and four from the crew). Oh, I nearly forgot, it also causes Terror, just in case it wasn't scary enough. The Necrosphinx is the monster masher of the Tomb Kings army. It has the Killing Blow rule and the Decapitating Strike rule. This means that one of its attacks every turn is at Strength 10 with Heroic Killing Blow. This gives the Necrosphinx a good chance of killing enemy monsters outright with a single sweep of his blade (and his blades are big). If worst comes to worst and he doesn't kill the monster, you'll be safe in the knowledge that he will have given it a good kicking anyway. Few monsters will survive two turns against the Necrosphinx and even fewer will have the strength to retaliate. If the enemy doesn't have any monsters then, as mentioned earlier, they'll probably have big guns instead. The Necrosphinx can fly, so dealing with pesky cannons hiding at the back of the battlefield won't be too hard for it either. Wow, one attack of the Necrosphinx is Str 10 with Heroic Killing Blow! Both have Toughness 8 and 5 wounds! Both of these things will be true monsters. Over the past week, I haven't felt much like painting, so I have been busily building things. Here is the stuff I got built. First up, I built the Fortress of Redemption that I got for Christmas. I still have to put the Heavy Bolters and Spotlights on it, as well as finish the base, then it will be ready for painting. I also built the Sanguinary Guard that I got for my Birthday. The only thing I have left to finish building for my Blood Angels is a Storm Raven. 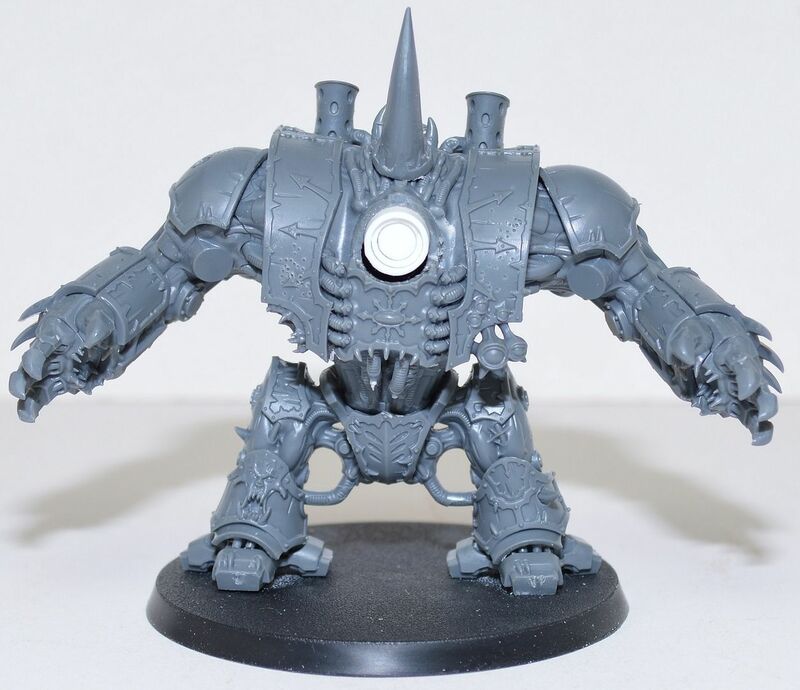 I know I said I was going to put my Grey Knights on hold, but I could not resist picking up a box of the new Grey Knights and a Dreadknight. 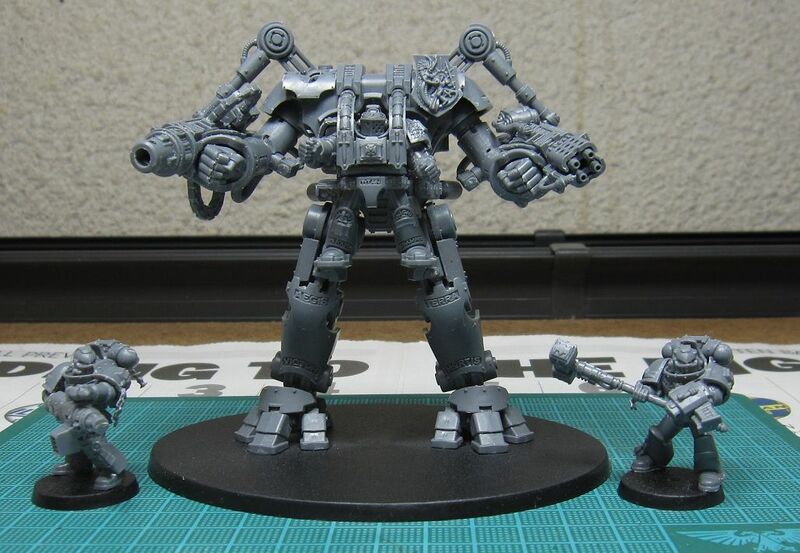 I got the Dreadknight built and two of the Grey Knights. 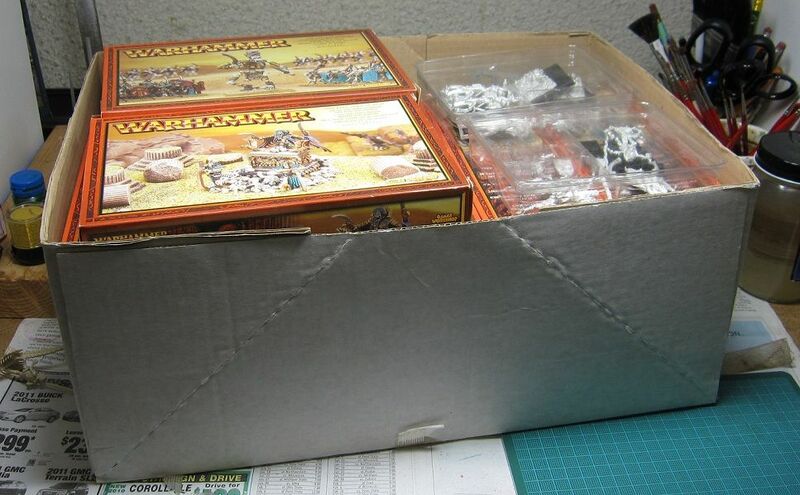 Next up to build, a big box of Tomb Kings stuff. My trade of Empire for Tomb Kings finally went through this morning and I couldn't be happier. 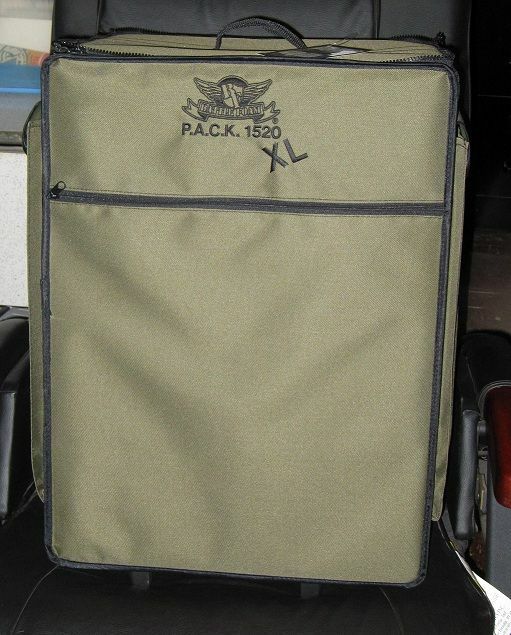 The TK stuff is practically all NIB and here is what I got. Who knows how much of it will be still be usable in the new book, but I do not care. I will post some pictures later. 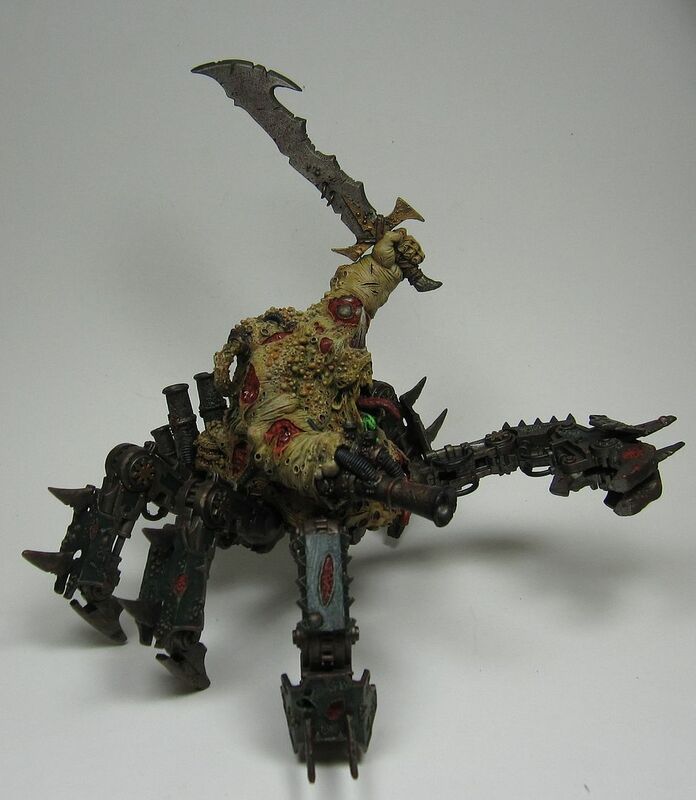 My Painting Challenge Project for this month is my Plague Hulk of Nurgle. I have been working on this on and off for roughly seven months and it is finally ready to paint. 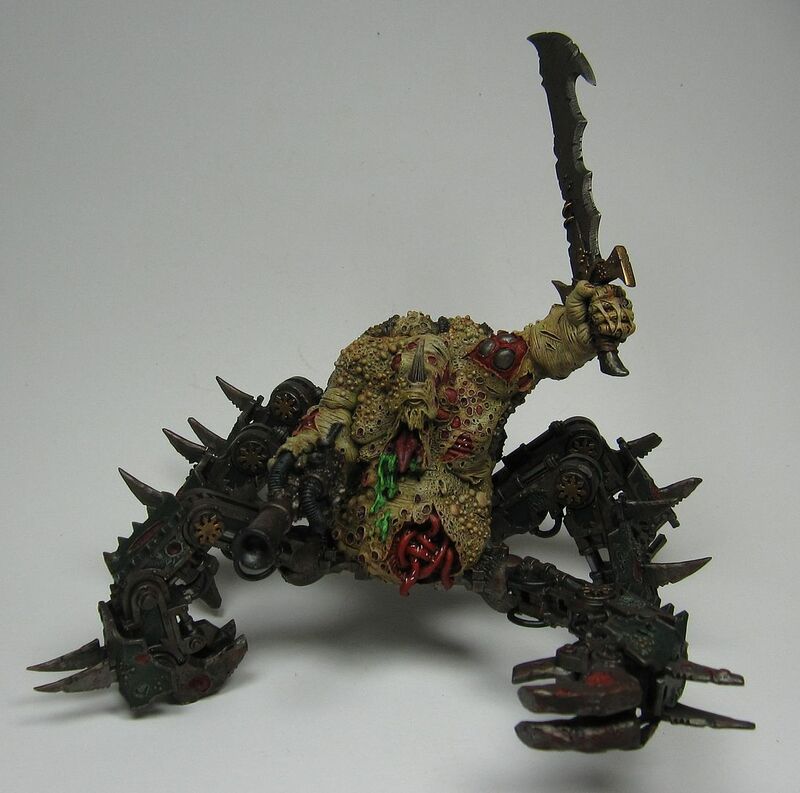 For my 'Finish a Project' Challenge, I am going to finish painting Epidemius.